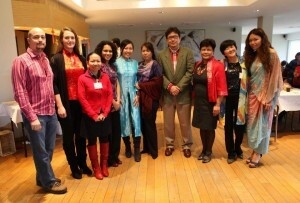 The establishment of MABL was initiated and spearheaded by the Embassy of Malaysia in Brussels. The first draft of the constitution was presented by its Minister Councilor, En. Zainol Abidin Omar. On December 8, 2001 – First meeting with dinner at the Europa Apartment Hotel, Brussels. The meeting was chaired by His Excellency Dato’ Deva Mohd Ridzam. The draft constitution was discussed. And by April 27, 2002 – Meeting with dinner held at the Ambassador’s Official Residence. Opening address was graciously given by the Ambassador, H.E. Dato’ Deva Mohd Ridzam. At the meeting a protem chairman (Mr. Liew Chong Ho) and secretary (Mrs. Kamachi Verschoor) were elected; the Malaysian association was named as Malaysian Association of Belgium and Luxembourg (MABL); and the constitution of the Association was finalised.